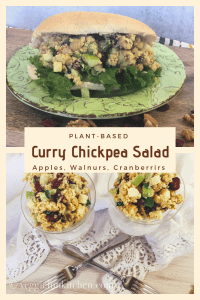 Curried Chickpea Salad is the best alternative for vegans wanting the nostalgia of a chicken salad sandwich – but without the meat. 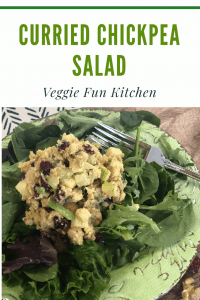 This curried chickpea salad is the perfect combination of sweet/savory and crunchy and works great as a sandwich filling, on a bed of lettuce, or simply eaten with a spoon. The recipe doesn’t use even the tiniest bit of chicken. Why would it, when you can use chickpeas (garbanzo beans) instead? 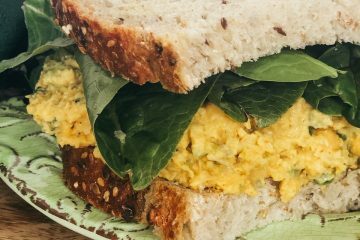 I first started experimenting with chickpea salad sandwiches with my Best Vegan Egg Salad Sandwich with Chickpeas. I a bowl-full to work and shared with some like-minded friends who raved about it. 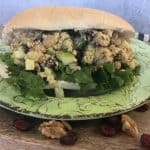 One challenged me to make a vegan chicken-salad sandwich out of chickpeas. Challenge accepted! 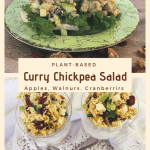 Tips and Tricks for Making Your Curried Chickpea Salad as Fantastic as Mine! 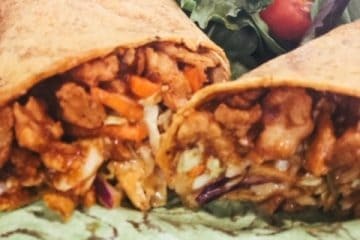 Please read through all of the tips and tricks section as the details are too numerous to include all in the recipe card. These are all the ingredients you need for Curried Chickpea Salad. No chicken needed! 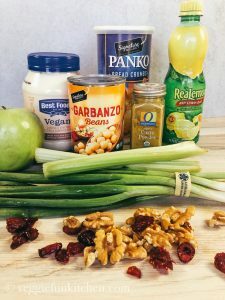 Chickpeas and garbanzo beans are one and the same and the terms are used interchangeably in this recipe. I used canned chickpeas. If you want to cook your own, you will use 1 3/4 cups. Use a vegan mayo. My two favorites are Follow Your Heart and Best Foods Vegan Mayonnaise. Chop the apples, celery, nuts, and onion very small. Note the size comparison to a quarter. Chop the apple and celery very small. This quarter gives a good size comparison. 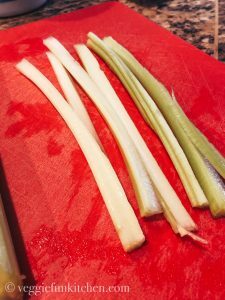 To get a really small cut for the celery, I cut the stalk vertically into strips, line them up and start chopping down the strips. slice the celery stalks lengthwise, line them up together and then cut into a small dice. I buy diced walnuts when possible. When I can’t find them I use chopped walnuts and then chop them a little smaller. 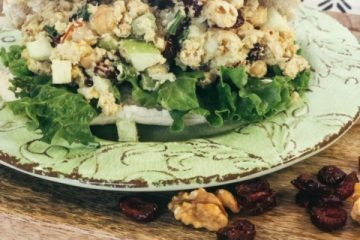 You don’t really want big walnut chunks in you chickpea salad. 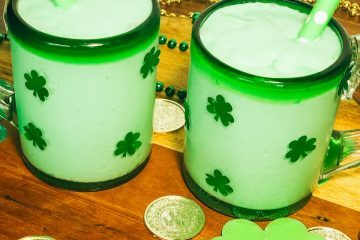 I like a green apple for this recipe because I don’t like it too sweet. Remember to chop it small though. Panko bread crumbs are an important ingredient for texture. 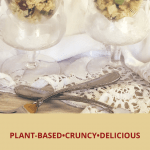 Mashed chickpeas do not have the exact same consistency as shredded chicken and will not absorb the mayo as well. This leads to a very thin almost runny consistency. Using bread crumbs to absorb the mayo firms up the texture perfectly. If you are avoiding bread then leave out the breadcrumbs. The flavor with not change but the consistency will not be as firm. 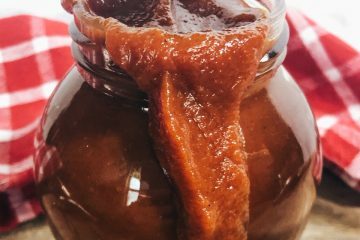 I use a hand immersion blender (affiliate link). 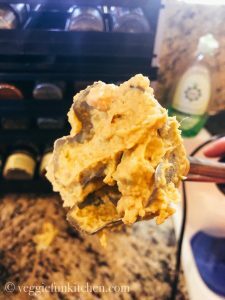 Blend together the chickpeas, mayo and other seasonings first and then stir in the other “chunky” ingredients after blending. If you don’t have an immersion blender, use your hand mixer. If you use an immersion blender, the chickpea mixture is going to get caught up in the head/blending part. Make sure to unplug the immersion blender, and then scoop it out into your bowl. 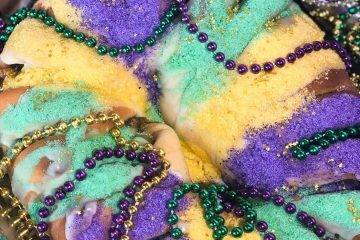 You don’t want to waste a bit of this deliciousness! Unplug and scoop out the mixture that gets in the blades. Add it to the bowl. Stir in the chopped apples, celery, onion, and nuts. 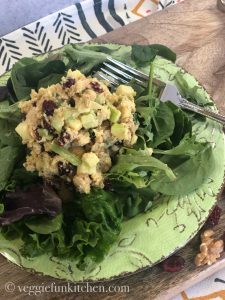 If you are going to serve the curried chickpea salad right away, then go ahead and add in the dried cranberries as well. But if you plan to serve later, wait and add the cranberries until right before serving. If your cranberries are at all sweetened, then the sweetness will leach out into the mixture if it sits in the fridge for a while and then it will be too sweet. The panko breadcrumbs are used for best texture. 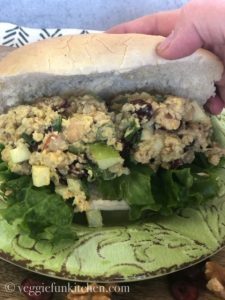 If you were making an actual chicken salad sandwich, the chicken would somewhat absorb the mayo – chickpeas do not do that. So to get the full flavor balance of the mayo, we use the same amount but then add in the breadcrumbs to absorb some of the liquid from the mayo. Start with the smaller amount of bread crumbs and then add in more if necessary. 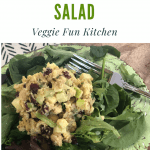 You can serve this curried chickpea salad over a bed of lettuce, in a bun, or in a fancy dish. It will taste delicious any which way! Aren’t these little dishes cute? They belonged to my grandmother. The upper bowl sits in an ice-filled parfait glass to keep your dish cold. This reminds me of something my mother might have served at a ladies luncheon for “club”. 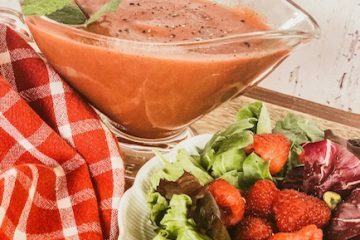 If you don’t serve right away, keep in the refrigerator in a tightly sealed container for up to five days. *Affiliate Links* I am an Amazon Affiliate. This means that clicking on and purchasing through one of these links might earn Veggie Fun Kitchen compensation at no additional cost to you. Thank you for reading through this post. 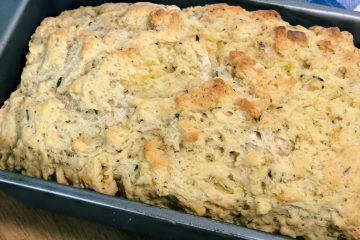 I hope your family enjoys this recipe as much as mine did! And thank you for being a part of Veggie Fun Kitchen. 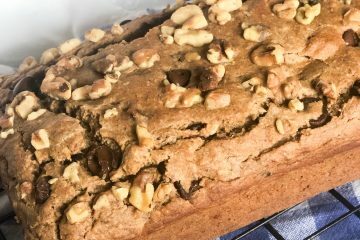 If you liked this recipe, please leave me a comment – and 5 stars would be deeply appreciated. 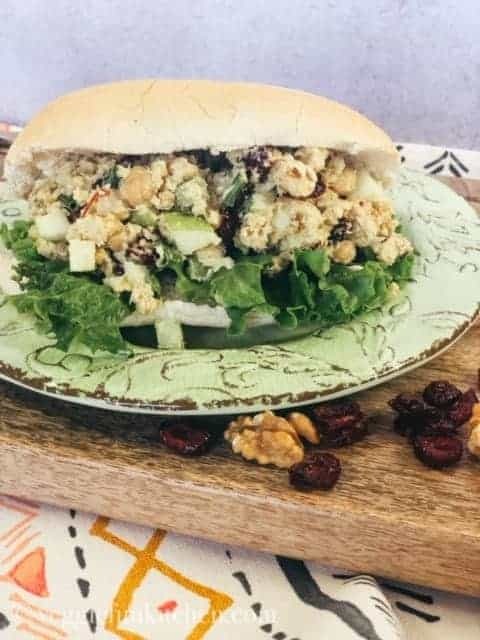 Curried chickpea salad is 100% plant-based with chickpeas, vegan mayo, chopped apple, celery, green onions, and walnuts. Serve it in a dish, on a bun, or on a bed of lettuce. 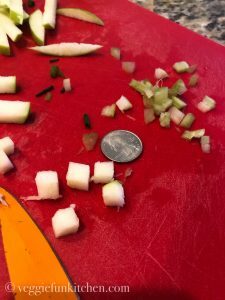 Chop apples, celery, green onion, and walnuts very small. (See example in post). Set aside. Drain chickpeas/garbanzo beans. I use a 15.5 ounce can in this recipe. If you are cooking your own, use 1 3/4 cups. Put drained chickpeas, vegan mayo, lemon juice, curry powder, and salt into a small bowl. With an immersion blender or hand mixer, process for just a couple of minutes. 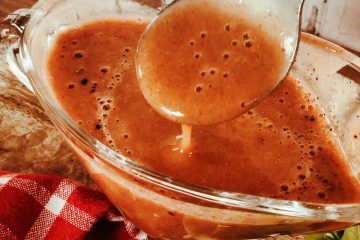 The mixture should be mostly smooth but have a few chunks. Add in the breadcrumbs. Start with 1/4 cup and add in more for desired texture - up to 1/3 cup total. 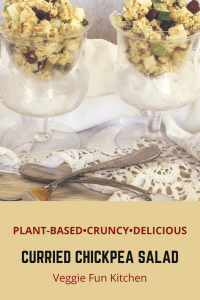 If you are serving right away, add the cranberries along with the other chopped ingredients. If you are saving to serve later, add in the cranberries till right before serving. Serve in a dish, on a bed of lettuce or in a bun.